Manitowoc, WI - Dramm, a leading manufacturer of high quality watering tools, announced the promotion of Casey Schoenberger to Director of Sales, Fertilizer and Farm. In addition to the oversight of all aspects of Drammatic® Fertilizer sales, Casey's expanded responsibilities include the sales growth to the farm/agricultural sector. "Casey has been a key contributor to the success of our fertilizer sales and we were thrilled to promote him to this important position," said Hans Dramm, CEO of Dramm. 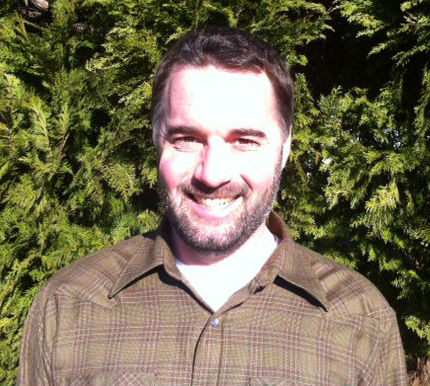 Casey joined Dramm in 2010 as the Fertilizer Sales Manger of Northwest USA and Western Canada. Casey's efforts have established a strong market share in the western U.S. as well as increasing sales to key segments in East Asia. Casey is a certified Permaculture Designer and currently runs an organic farm in Washington's Skagit Valley growing vegetables, fruits and nuts. Casey was previously with Christianson's Nursery & Greenhouse as their Horticulturist. "I appreciate the opportunity and look forward to working with our talented team to continue to grow the Fertilizer and Farm segments of Dramm Corporation," said Schoenberger. "We see an increasing demand in the marketplace for organic fertilizer and durable, high quality tools for farmers and ranchers. Over 75 years, Dramm has built a strong reputation of top notch quality and service and I'm confident we will continue to exceed customer expectations as we expand these product lines." Casey will continue to work from his home office in Mount Vernon, Washington. You can contact him by email at cschoenberger@dramm.com or call him at (360) 333-4044. Dramm has been making professional watering tools for nurseries, greenhouse growers and avid gardeners for over 75 years. Dramm strives to produce products that save time and energy while providing quality products that will last a lifetime.